The Culligan RV-800 recreational vehicle water filter connects easily to campers, trailers, motor homes or boats with its 12 in. flexible hose and slim design. 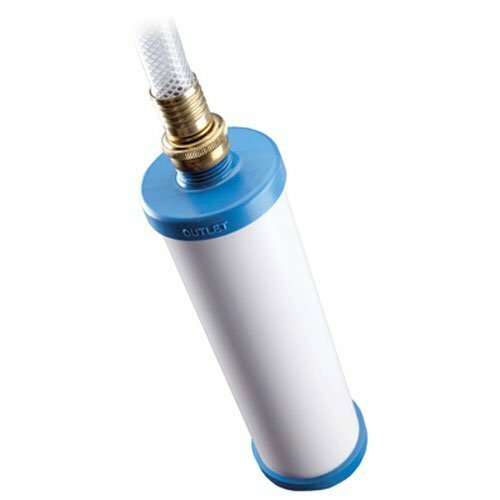 With the high flow rate and quick fill this filter will reduce chlorine taste and odor, sediment and bacteriostatic. Fits standard hose fittings and has a filter cartridge life of up to 2,000 gal. The RV-800 has been KDF tested and comes with a 5 year warranty, NSF Certified.